We like to keep tradition alive at The Bakers Arms. We're often planning special celebratory menus, running seasonal activity or supporting local events. Take a look at our dates for your diary and if there's something that you'd like to join in with, just give us a call to book or find out more. If you have a family event or celebration which you'd like us to help with, or you'd like to make the meal you've booked an extra special surprise for somebody, let us know in advance and we'll do our very best with it. Join us on the 1st January 2019 to celebrate the start of the New Year (and recover from the night before if you need to). We’ll be serving up our Bakers Arms Brunch from 11am ‘till 4pm so you can enjoy a leisurely meal in the comfort of our cosy pub (and accompany it with a celebratory tipple if you like). Book a table by giving us a call on 01489 877533 or head over here. 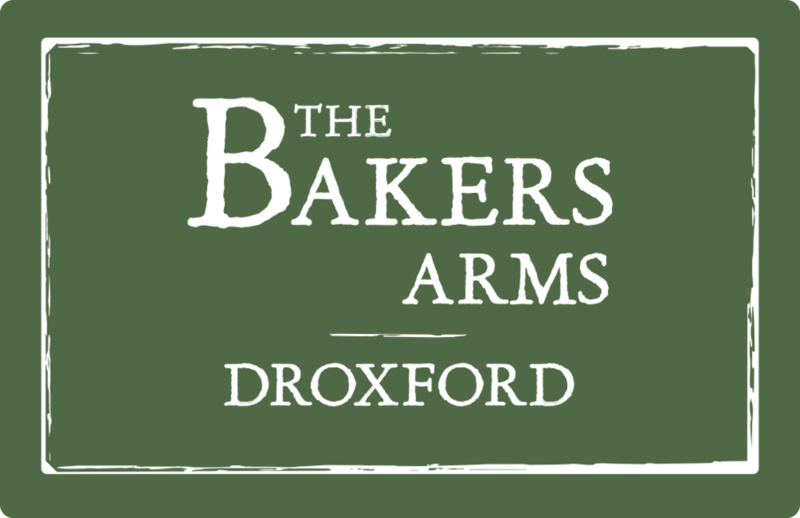 We’ve got lots going on over the Christmas period so why not get a date at the Bakers Arms into your festive diary! We’re open as normal in the run up to Christmas. We will be serving our regular delicious menu and will be rustling up our Sunday Roasts too. In addition, the fantastic Christmas party menu will be available for groups of 8 or more during this period and all through Christmas. This needs to be pre-ordered in advance but is perfect for seasonal soirees. We’ll have extended hours on the night before Christmas with drinks all afternoon and evening from 12 noon ‘till 10pm. Food will be served from 12 ‘til 2.30 and then 5 ‘til 10pm. We’d love to see you for some mulled wine, a three course meal or some bubbles and sharing plates to start the festive period properly. As usual we’ll be raising a toast between 12 and 2 with festive drinks and nibbles Bakers Arms style. We’ll be serving a slap up Boxing Day feast between 12 and 5 on Boxing Day. Perfect if you’ve had enough of slaving away in your kitchen and you’d like to leave the hard work to us. Our delicious seasonal menu will be served between 12 and 2.30 and from 6 ‘till 9. The bar will be open all afternoon and evening so if you’re planning a wintry walk then why not stop off en-route? Book a table for Sunday lunch with all the trimmings. With plenty to choose from if you’re veggie, vegan or following a gluten free diet too. Start your celebrations as you mean to go on with lunch between 12 and 5 plus evening drinks ‘til 8pm. Our New Year Bakers Brunch is becoming famous locally. Join us for a leisurely meal between 11 and 5 - ideal if you’ve overdone it a little bit or just want to carry on celebrating. Back to business as usual. Phew. 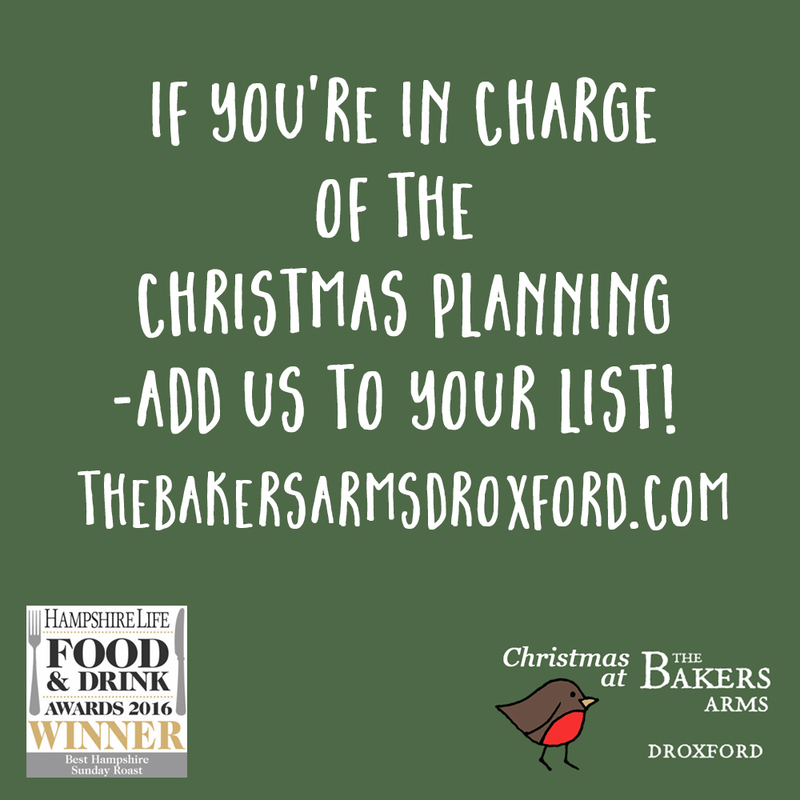 Book a table for Christmas! Whether it's a dinner party, drinks and nibbles or celebration for a large group - get in touch! 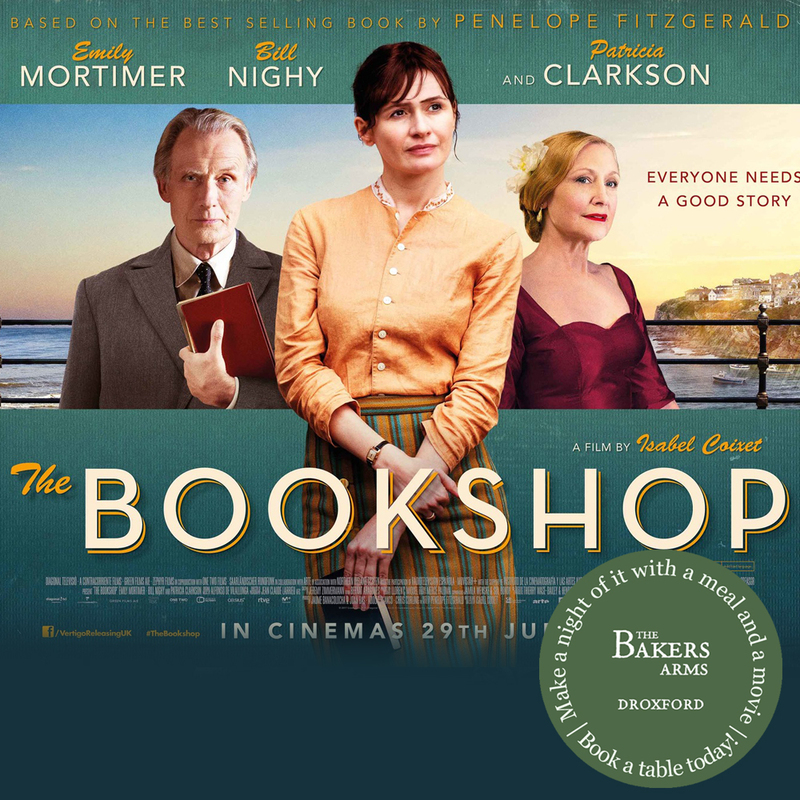 The must see movie for Novembers Droxford Village Comunity film night is ‘The Bookshop’ starring Emily Mortimer and Bill Nighy. Screening on Wednesday 28th November at 7.30, why not join us first for supper? September’s must-see movie, being shown at this month's 'Droxford Village Hall Cinema Night' is the award winning 'The Guersey Literary & Potato Peel Pie Society' starring Lily James. It's being screened at Droxford Village Hall on Wednesday 26th September at 7.30pm and you can buy tickets at the village shop or on the door at the Village Hall on the night for a just £5. This feel-good film is based on the bestselling novel and is perfect as a mid-week escape. Why not make a night of it and join us at the Bakers Arms for a pre-movie meal from our special menu. We’ll be serving between 5.30 and 7pm. At The Bakers Arms, we're lucky enough to have a lovely garden, complete with shaded patio furniture and, more often than not, bathed in glorious sunshine. To make the most of it, we've launched our brand new 'Bakers Arms Garden Menu'. You don't have to eat it in the garden but the idea is that it's a lovely, summery lunch menu that's best enjoyed 'al fresco'. 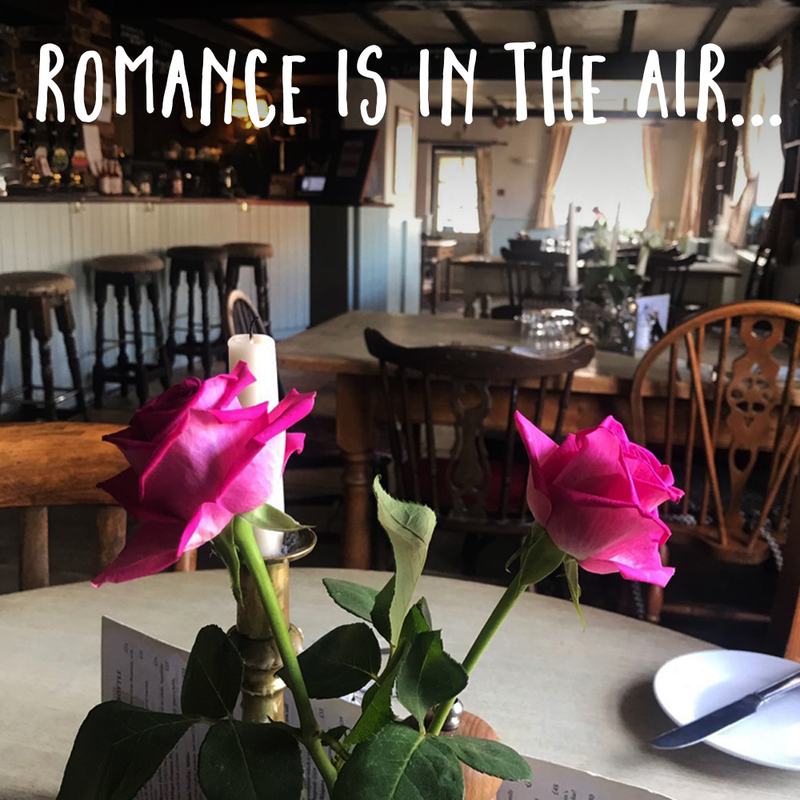 There's plenty to choose from and it comes complete with a jug of Pimms* to share (or a pint, glass of wine or soft drink) - all at a special price.... just £15 per person. *The jug of Pimms is to share if two people order from the Garden Menu. As we cook to order, there may sometimes be a bit of a wait at busy times but if you're in a hurry, just let us know and we'll do our best. Call us on 01489 877533 to book a table or book online here. The award winning film which will be shown this month at the 'Droxford Village Hall Cinema Night' is Academy favourite 'Darkest Hour' starring Gary Oldman. 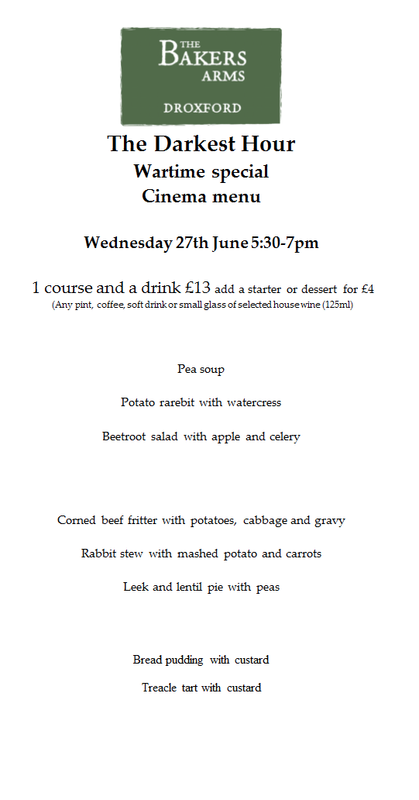 We'll be serving up a special 'Pre-Movie' set menu that evening, so you can make a night of it. Book your table here or give us a call on 01489 977533. 4 pie flavours to choose from: Chicken & Leek, Fish Pie, Game Pie or Sweet Potato, Balsamic Shallots and Pinenut Pie. 2 for £22 eat in, served with mashed potato and Vegetables.